Data Lake: an Opportunity or a Dream for Big Data? The emergence of network movements since 2011 has led to a debate about the way social media and networking practices enable new forms of collective identity (Castells, 2012). There are numerous references in the literature examining the way in which social movements have created collective identities throughout history. This research has essentially been differentiated into ways that conceptualize how these identities germinate and are created (Melucci, 1995); whether they depend on organizational movements; cultural aspects; and whether the communication follows network or aggregation patterns, among others. 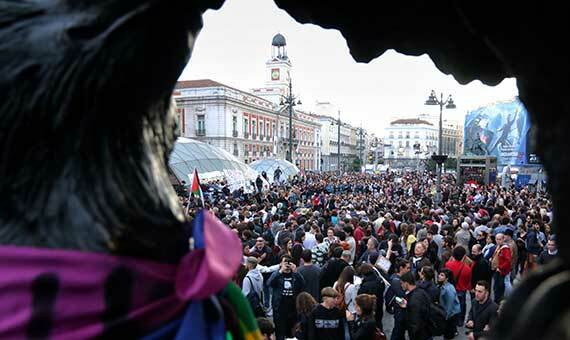 However, in order to understand the 15M network movement in Spain, it was necessary academically to transcend some of these traditional debates and seek out conceptual and methodological innovations. Its rapid emergence, duration, diversity, its multifaceted development and its adaptive capacity posed numerous theoretical and methodological challenges for social scientists (Monterde, 2015). These disruptive ideas stemmed from the world of neuroscience and from the developing framework for interpreting the brain in recent years. The last 30 years have witnessed a profound transformation in some scientific fields, particularly in the area of biology and the cognitive neurosciences. This is due to the success of complex systems theory, and particularly of techniques for simulating nonlinear dynamic systems when developing models and explaining the structure, functioning and evolution of different types of networks: metabolic, genetic, neuronal and ecological (Solé and Goodwin, 2000). If we look closely at the systemic neurosciences, it is hard not to be surprised by the conceptual resonances with the (techno)political practices of the 15M movement. Neuroscientists talk of self-organization (Kelso, 1995), neuronal assemblies (Varela, 1995), self-organized criticality (Friston, 2000) and emotions as thought enablers (Damasio, 1994). The use of these concepts is no mere terminological coincidence. Today, this series of conceptual transformations deriving from the study of the brain can be said to have brought about a way of understanding and experiencing the world from the techno-scientific standpoint, from the technologies and practices that make it possible, and from the society and the discourse embedded in it. This is the sort of epoché sparked by cybernetics in the mid-20th century (as the original techno-science), and continued today by complex systems theory/ies applied to a growing number of scientific and –in the issue that concerns us here– social problems. The spread of these ideas has shown that the structural and dynamic analyses of interaction networks in phenomena such as the 15M movement (in combination with qualitative data) are valuable tools for understanding both the form and the transformation of what we call the “systemic dimension” of collective identities in network movements (Aguilera et al, 2013; Barandiaran et al, 2015). They were particularly useful for introducing a new method of detecting synchronization in Facebook activity and identifying the distributed but integrated and coordinated activity underlying these collective identities. By applying an analytical strategy to 15M, it could be seen that the dynamics prior to 15M created a specific form of collective identity –which has been called “multitudinous identity”–, characterized by its social transversality and internal heterogeneity, and a transitory and distributed leadership defined based on initiatives for action. This approach follows the role of distributed interaction and transitory leadership in the mesoscale of organizational dynamics, in the same way that neuroscience explains the emergence of our personal identity –our “ego”– according to neuro-dynamic integration processes. This view of the brain has served to fuel contemporary discussions around the role of collective identity in network movements.